These are a series of paintings on display at Kittur museum during the year 2009. There were many more interesting paintings which I missed shooting. These lovely paintings are created by several young artists during Kittur Utsav few months back. Chennamma as an infant. Born on October 23, 1778 at Kakati. A scene from an hunting expedition. During the hunting expedition; Chenamma claims her arrow killed the tiger while Mallasarja Desai asserts his arrow killed it. Admiring Chenamma's courage he offers to marry her. Chennamma mourning a relative's death. Chennamma with her bodyguards, preparing for a battle. Chennamma engaged in a fight against British forces. Chennamma leading her army into the battle-field. Chennamma charges on as Amatur Balappa slays John Thackeray, the British Collector. Sangolli Rayanna disguised as an ascetic meets Chenamma at Bailhongal jail. Rayanna assures Chennamma that he is continuing the struggle against the British. Chenamma a prisoner lodged at Bailhongal jail; speaking to her trusted allies. Sangolli Rayanna being captured by deception at Dori Halla. 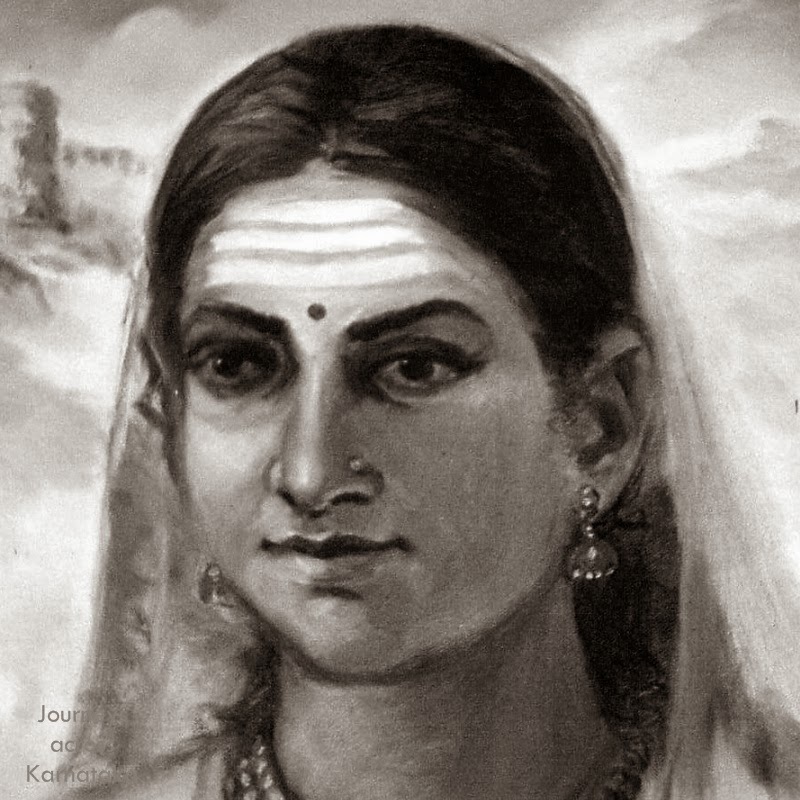 The news of Rayanna's death broke Rani Chenamma's will to live, she dies on 21 February 1829 at Bailhongal jail. Her mortal remains are buried at Bailhongal. Read more about Sangolli Rayanna. I heard about Chennamma. I liked these paintings very much. Kittur Rani Chennamma is a great inspiration to whole India. I am a hubli citizen and kittur fort is just 60 km for me. I have visited the current fort and the ruins and trust me once you go there, you will still feel the wind gusting and each stone telling you the story about rani chenamma. Its a unique experience, i recommend every one to visit current ruins of kittur. Photos of fort and ruins should have also been added to high light the issue and Fort of Channamma. @ Satyanarayana - Here's the link to the article about fort & palace. SANGOLLI RAYANNA IS A FATHER OF REVOLUTION IN INDIA. I SALUTE HIM PROUDLY.